How do we enhance undergraduate healthcare education in dementia? 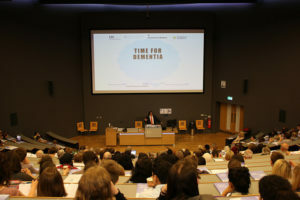 Time for Dementia aims to try personalise education by focusing on the experiences of people with dementia, rather than their diagnosis. This innovative project transfers the focus of education of health professionals by putting relationships with families and the heart of understanding what’s really important in care for people living with dementia. Funded by Health Education England Kent, Surrey and Sussex the 4 year collaborative project involves Brighton and Sussex Medical School (Medical students), University of Surrey (Nursing and Paramedic students), Sussex Partnership and Surrey & Boarders NHS Foundation Trusts and the Alzheimer’s Society. Time for Dementia has been running since November 2014, currently there are 4 cohorts of students (n=741) taking part in the programme, and 370 families involved. This innovative project has won a National Dementia Care Award (2016) and Laing Buisson (2016) award for best dementia training initiative. Student feedback demonstrates increased awareness of the family perspective of dementia, increased knowledge of dementia and positive impact on practice – skill development. Feedback from people with dementia and their carers included feeling valued, shared learning, making a difference and feeling listened to. From the 1st to the 8th March 2017 Dementia UK will be holding their annual Time for a Cuppa event. They encourage people to get together, bake and raise funds. Dementia UK will use all money raised to fund their Admiral Nurses, who are trained to support people diagnosed with dementia and their families. They also provide Admiral Nurses to look after a support line that anyone can call to get advice from. A valuable source of information and advice for all carers and people living with dementia. We will be holding our very own Time for a cuppa morning on the 6th March at the school and we’re encouraging people to come along, bring their own baked goods to sell and to buy some others. Whilst organising this event, we came to reflect upon what we, as a school, are able to do to contribute to the research into dementia. The Alzheimer’s society tells us that there are 850,000 people living in the UK that have been diagnosed with Dementia and this number is set to rise. There are different types of dementia with 62% of those diagnosed are diagnosed as having Alzheimers and 17% of them being diagnosed with Vascular dementia. More research is needed, not only to look at possible cures for dementia but also to look for ways in which we can support those diagnosed with dementia and particularly support those caring with dementia. This week, we’ll be releasing a series of blogs that will discuss the research that we’re doing within the school. From looking at the ways technology is being used to support those with dementia to research examining strategies to help care for dementia. We’ll also look at a scheme in which we pair up our student nurses with families caring for a person with dementia. This Time for Dementia project is collaborative research that aims to improve the care and support we give to people diagnosed with dementia and their carers. We also encourage all of you to sign up as a Dementia Friend. It’s free, takes minutes to do and it’s designed to give us all more of an understanding of what it’s really like to live with dementia. So, join us in baking and selling cakes and then sit back and reflect on our research by reading our blog posts. 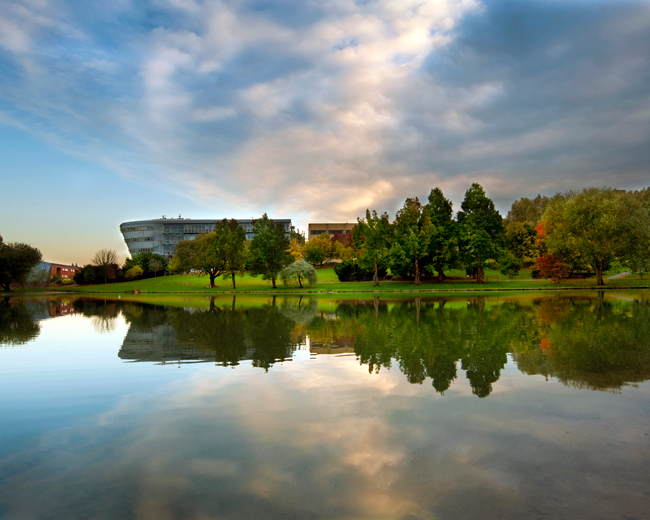 Keep an eye on our twitter @healthscisurrey and instagram schoolofhealthsciences feeds for more information. Do we need to move beyond Cancer Awareness Campaigns?